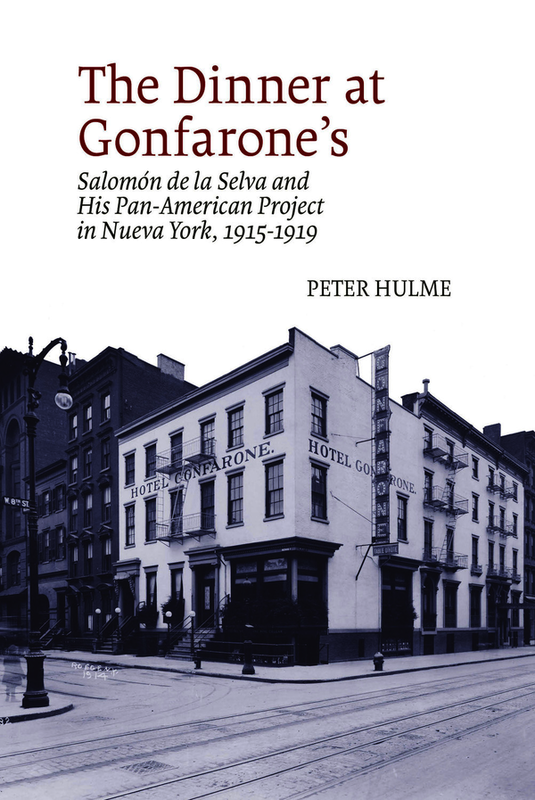 The Dinner at Gonfarone’s is organised as a partial biography, covering five years in the life of the young Nicaraguan poet, Salomón de la Selva, but it also offers a literary geography of Hispanic New York (Nueva York) in the turbulent years around the First World War. De la Selva is of interest because he stands as the largely unacknowledged precursor of Latino writers like Junot Díaz and Julia Álvarez, writing the first book of poetry in English by an Hispanic author. In addition, through what he called his pan-American project, de la Selva brought together in New York writers from all over the American continent. He put the idea of trans-American literature into practice long before the concept was articulated. De la Selva’s range of contacts was enormous, and this book has been made possible through discovery of caches of letters that he wrote to famous writers of the day, such as Edwin Markham and Amy Lowell, and especially Edna St Vincent Millay. Alongside de la Selva’s own poetry – his book Tropical Town (1918) and a previously unknown 1916 manuscript collection – The Dinner at Gonfarone’s highlights other Hispanic writing about New York in these years by poets such as Rubén Darío, José Santos Chocano, and Juan Ramón Jiménez, all of whom were part of de la Selva’s extensive network.